"Dwell on the beauty of life. Watch the stars, and see yourself running with them"
On the 8th, you can see Mars in the sky. A shining burnt-orange celestial body in the constellation Virgo. The planet will be "very close" to Earth and the sun in the exact opposite direction in the sky : it's called an opposition of Mars. Actually Mars will be the closest to Earth (92 000 000 km) on April 14-15th but there will be a total lunar eclipse (not in Europe, it will be a moonrise eclipse, if you're in North America, please watch!). Dont miss out Mars's North polar cap! 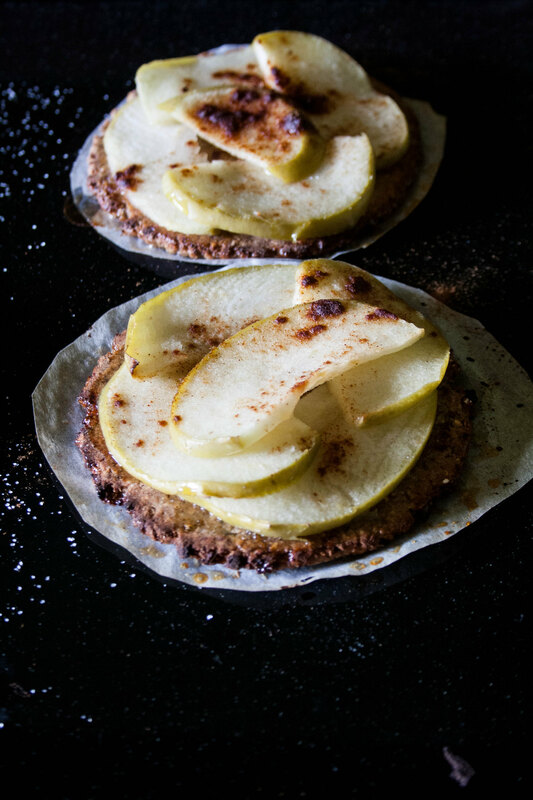 These apple tartelettes are simple, light and delicious. 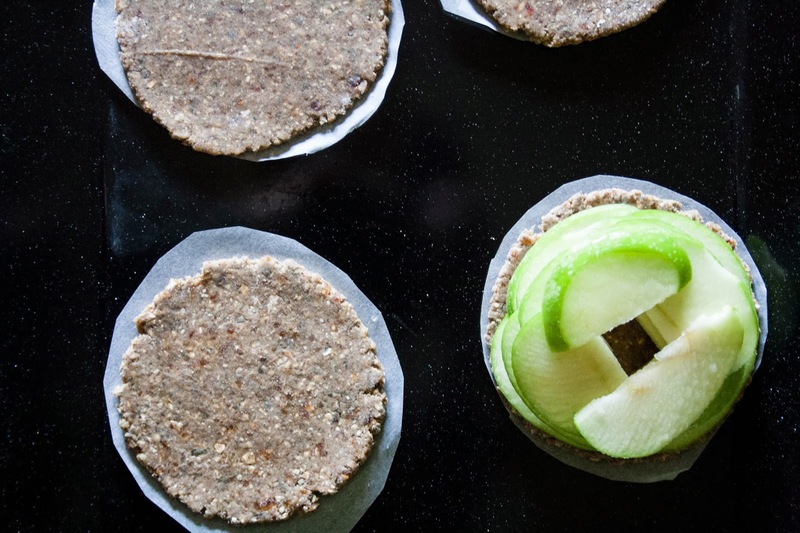 They're quick to make as well and could be made in a dehydrator for a raw kick (to experience, I don't own a dehydrator)! Use the dough as a base and top with your favourite spices, in-season fruit if you like. In a food processor, process pumpkin seeds into flour. Mix all other ingredients until it forms a dough. Place in the fridge to chill for 20 minutes. Preheat oven to 175°C. Divide the dough in four and roll out to form circles. 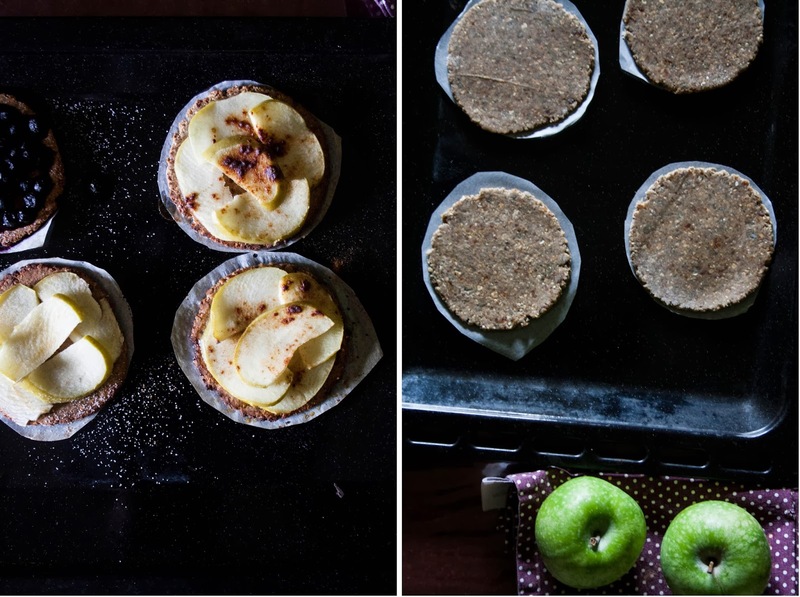 Place apple slices on top and sprinkle with raw sugar and cinnamon. Bake for 10-15 minutes. Dans un robot avec la lame S, moudre les graines de courges pour en faire de la farine. Mélanger les autres ingrédients pour forme une pâte. Laisser la repose 20 minutes au réfrigérateur. Préchauffer le four à 170°C. Diviser la pâte en 4 et étendre en 4 cercles. Mettre des tranches des pommes dessus et saupoudrer de sucre et de cannelle. Cuire 10 à 15 minutes. La pâte se congèle bien et peut être utiliser avec d'autre fruits bien-sûr! i love that quote at the top. and these look so lovely. such a perfect treat for anytime of the day and could also be breakfast (or lunch). Thanks Caitlin! You're right they're perfect for any time of the day! My mouth is watering just by looking at your photos! These tartlets are gorgeous. Simple food is real food and is the bestest.